A walk to the grocery store without any gimmicks. Simple, casual (not even that casual for Finland to be honest) and comfortable. 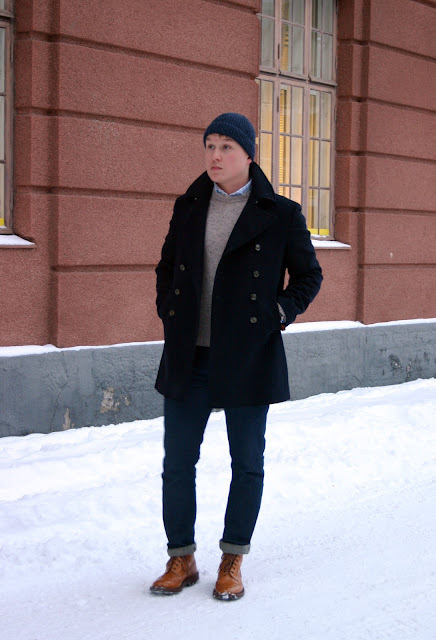 Navy peacoat, dark blue wool hat and raw denim from Nollakolme Tampere, a flecked wool jumper from H&M, gingham checked flannel shirt and to make an impact gorgeous Tricker's brogue boots in color acorn. 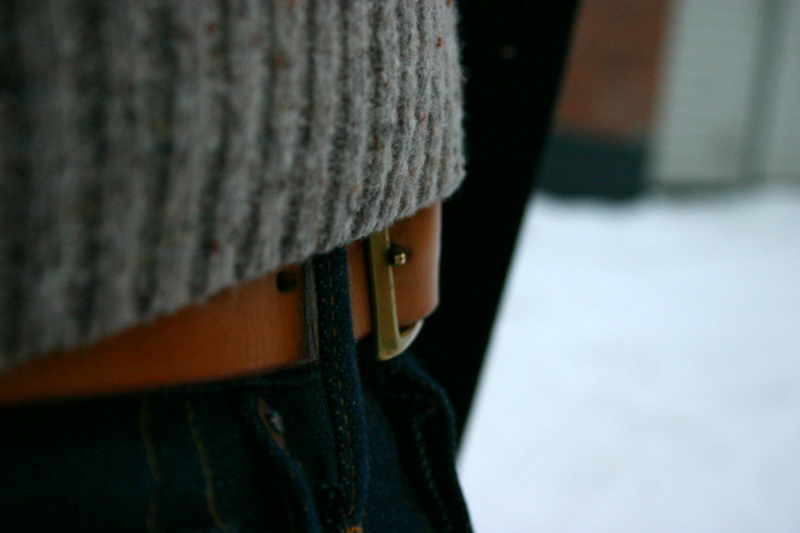 Furthermore, a wonderful bridle leather belt from Equus Leather. Handmade from London Tan colored leather this chunky piece is perfect with these boots. Good sturdy boots for the more snowy weather. 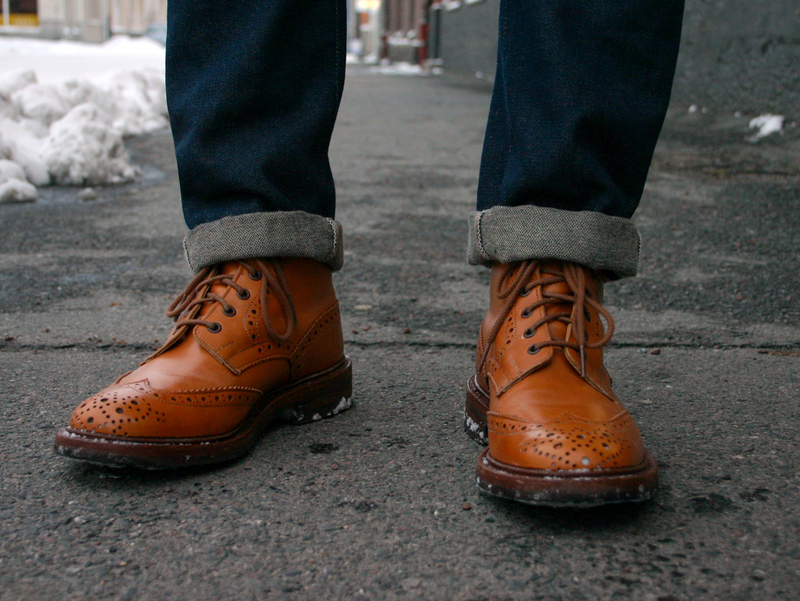 I usually tend to fold my jeans an extra time when wearing boots like this, just to show them a bit more. With these looks they've earned it.